Rezidor’s President and CEO, Wolfgang M. Neumann, who is a speaker at the Africa Hotel Investment Conference in Kigali, Rwanda, says the hotel group launched its accelerated African growth strategy in 2014 with ambitions to double its portfolio in Africa by the end of 2020. “Africa has always been close to our hearts. We were the early movers on the continent in 2000 when we established our dedicated business development base in Cape Town. The six hotels opened in 2016 include Radisson Blu hotels in Nairobi, Kenya; Marrakech, Morocco; Maputo, Mozambique (first residence in Africa); Abidjan, Ivory Coast (first airport hotel), Lomé, Togo; and the Radisson Blu Hotel & Convention Centre in Kigali, Rwanda, East Africa’s largest convention centre and host to the 2016 Africa Hotel Investment Forum. Carlson Rezidor Hotel Group also partners with IFC, a member of the World Bank Group that focuses on private sector development, to promote the design and construction of green buildings in emerging markets. 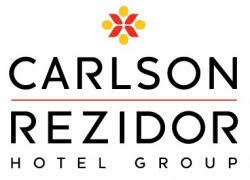 Through the partnership, Carlson Rezidor will use the EDGE eco-analysis software for all of its future hotel projects in Eastern Europe, the Middle East and Africa. As 40% of the world’s carbon emissions are generated through the construction and operation of buildings, designing green hotels supports the industry’s responsibility to meet COP21 targets.